This submission makes good use of theme by using a "time slow down mechanic" and includes basic AI which is a bonus. However is slightly let down by the lack of effort put into the environment and has no kind back story to speak of. Overall i'd stay it was a decent "tech demo" but would like to see more before I'd consider it a "proof of concept". Thanks for your review! 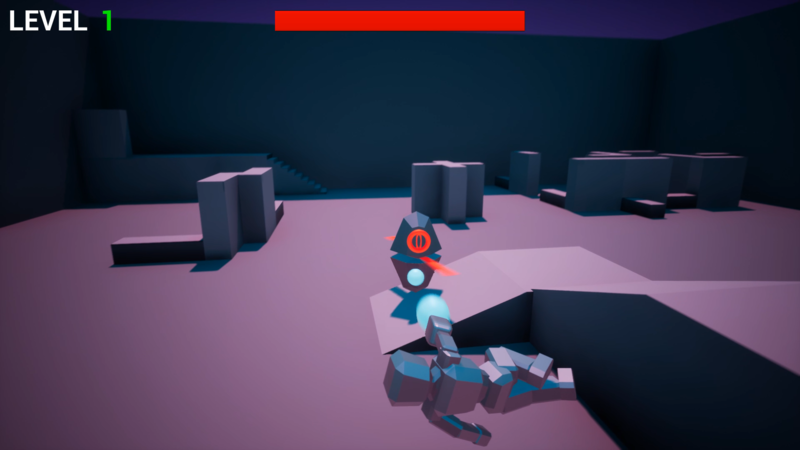 The environment was definitely more of just a placeholder for the time being, but future iterations would like to see the levels be progressive and unique! The story was also kept basic, for the sake of the gameplay pace and focus of the concept, which is simply the action time mechanic. Thanks for the input! I loved the time slow down mechanic when jumping/falling, it made me focus in on the target and want to just wipe them out. I sometimes had difficulty aiming with the hand feeling heavy to move although wasn't too much of an issue. The small map realy added pressure which was great, making me think of ways to avoid enemies by jumping up/over obstacles and getting those solid shots in using the slow down time mechanic. The screen effect when I failed to destroy a time orb was cool, but FAR to long in my opinion so it got really annoying, 1-2 seconds would be better I think. The aiming changes the arm rotation directly, am I right? when walking normally, it worked fine, but a soon as the body tumbled in slow motion it felt very wonky and inaccurate. I would have liked it more if the control input affected a centered crosshair and if the arm automatically moved to aim towards that point - as a result I never really wanted to use the slow motion - the added difficulty for aiming punishes me for trying to pull of cool moves. I didn't like that falling of an edge also triggers slow motion. 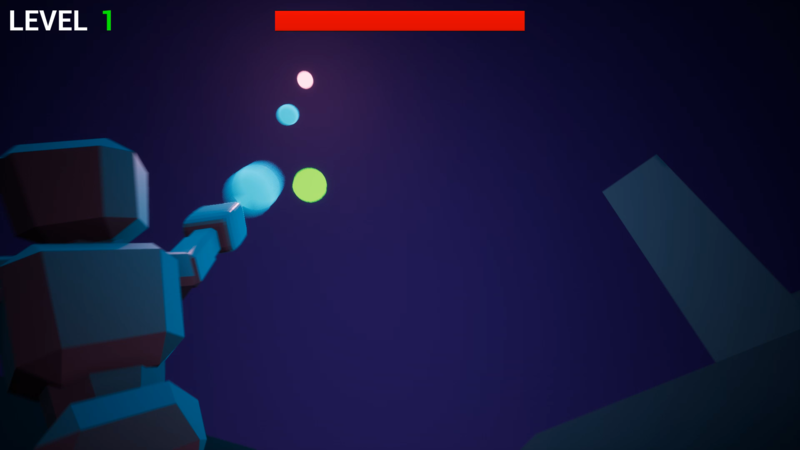 Enemies spawning very close to the player is unfair, my suggestion to lower the frustration is: to spawn everything outside of a certain radius from the player, but give them a temporary boost in movement speed to catch up, or: to spawn them with a delayed start, so players can move away even if enemies spawn surrounding them. I would also like the ability to jump forwards and backwards with slow motion. Thank you for playing and your feedback! I definitely agree with you on your suggestions, I had to make a lot of compromises because of my time constraint but those were all things I wanted to improve. The reason the reverse time takes so long is because it's actually going back through what happened, and if I attempted to speed that up with my current system, it would only go back a tiny bit of time. Arm was really difficult to get to even how it is currently, because the arm essentially swaps the up and down aiming with the left and right aiming while diving.. the problem then is that the character is not completely sideways throughout the whole animation, so the points where it's diagonal, it becomes very difficult to aim. Slowing time while falling was a decision I made insteas of giving the player control of when time slows (by pressing a key or mouse button) which I may revert to in the future. Yeah the enemies spawning right on you is frustrating, I think the error ai made was that the range/radius I set allowed for then to spawn that way, rather than being clamped at the closer closer distances. I wanted forward and backward, even made the animation for forward, but where I was in development and the time I had, it wouldn't have been easy to implement, but definitely want to put that in. Thank you for your feedback and support! The simple game play is fun and interesting, the idea of shooting the time sphere is cool and the use of sound and visuals to indicate the literal ticking clock was great. The sound was good and it looked nice too, I'd say the only problem I had with it was that the map wasn't big enough and there weren't enough different enemies for how simple the concept was. Thank you for giving it a try! 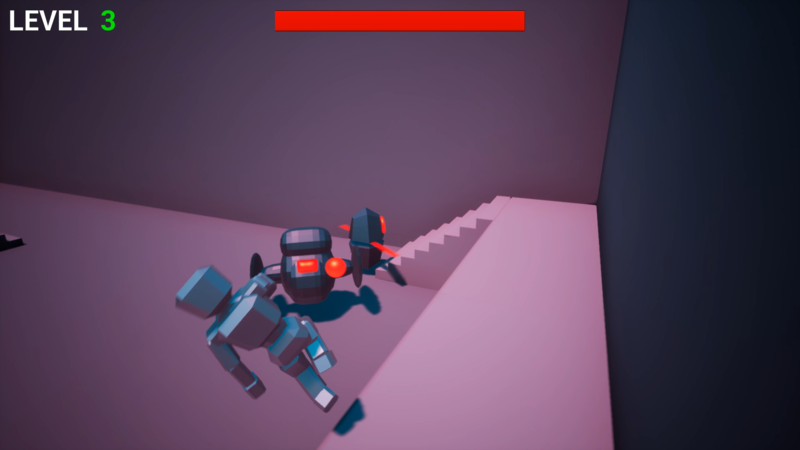 The intended concept was to have a level progression system in which there are different levels, obstacles, puzzles and such that you go through. I definitely want more enemies, there's so much room for variation in not only the current enemies but in new ones and even bosses. I tried your game and I was really impressed - it was very fun! The graphics were nice and the time slowing portion was very cool. I also liked the background music and the difficultly at the higher levels. Some things I think would improve the game would be to add a pause feature and to clean up some of the glitches. There was one where the time orb would appear and I would need to re-click to start firing again - it was inconsistent which made it a little bit more tricky. The best moment was when I got to level 7 (or 8), and all of a sudden I got surrounded by 8 blade spinning guys - it was hilariously scary. Great job! Thank you very much for trying it out and giving feedback! I appreciate that! 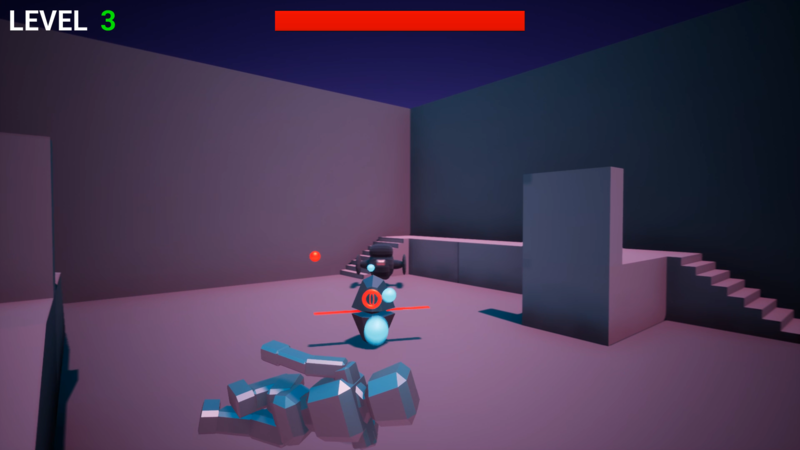 I did notice that particular bug you are talking about, I may end up reworking that shooting system and make it only hold for full auto or just make it as fast as you can click. Yeah I've actually never beaten it all the way through myself 😂 I've gotten to level 12, but by then had 1 hit to die, and I didn't make it 😂 I also need to make a death screen and a victory screen!